Daisy is a tea length vintage inspired gown in tulle and corded floral lace with a full twirlable skirt. The bodice has a wide v neckline, small cap sleeves and button details on the semi transparent lace back. A sweet tea length, lace wedding gown. 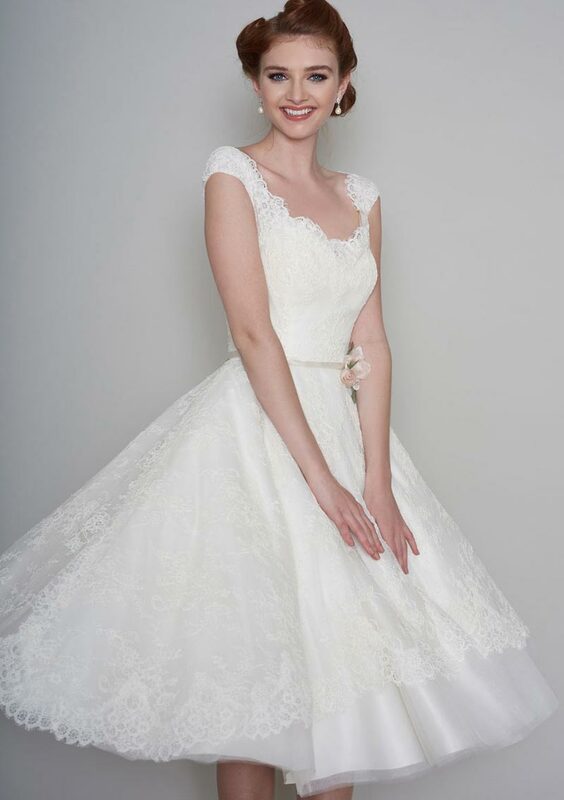 The soft scoop neckline and flower belt on this bridal gown have a pretty feminine feel. An illusion lace back finished of with button detailing. This vintage inspired tea length gown is perfect for twirling the night away.